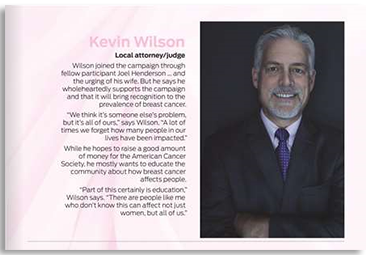 Kevin B. Wilson recently supported Real Men Wear Pink Breast Cancer Awareness Month in Chattanooga. Click More to read the whole article. Kevin B. Wilson was recently selected to serve as the Tennessee State Chair for ACA International. ACA International’s unit leadership selected several members to serve in the Attorney State Chair Program, an improved version of the MAP State Compliance Chair Program. 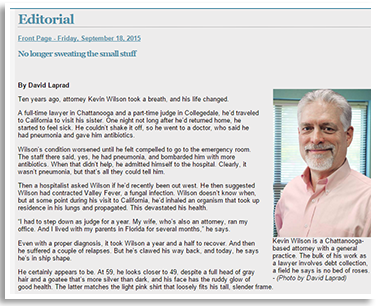 The Attorney State Chair Program provides ACA International units and their members with access to an attorney licensed to practice law in their state. These attorneys have volunteered to take calls and be available as legal resources and referral attorneys, as their schedules permit. The attorney state chairs will serve in the crucial role as a liaison between ACA International and the affiliated state/regional unit members and to strengthen relationships and partnerships between attorneys and their member clients. No longer sweating the small stuff.